A California teen is thanking her lucky stars after she won the lottery jackpot not once, but twice, in a single week. 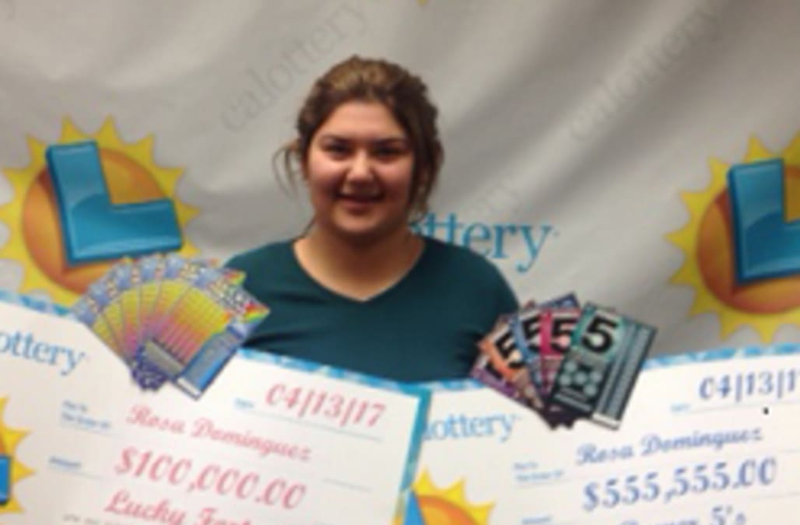 Rosa Dominguez, 19, was driving home from Arizona to the Golden State when she decided to try her luck on some $5 lottery scratch offs at Eagle Energy, a gas station in Paso Robles, California. 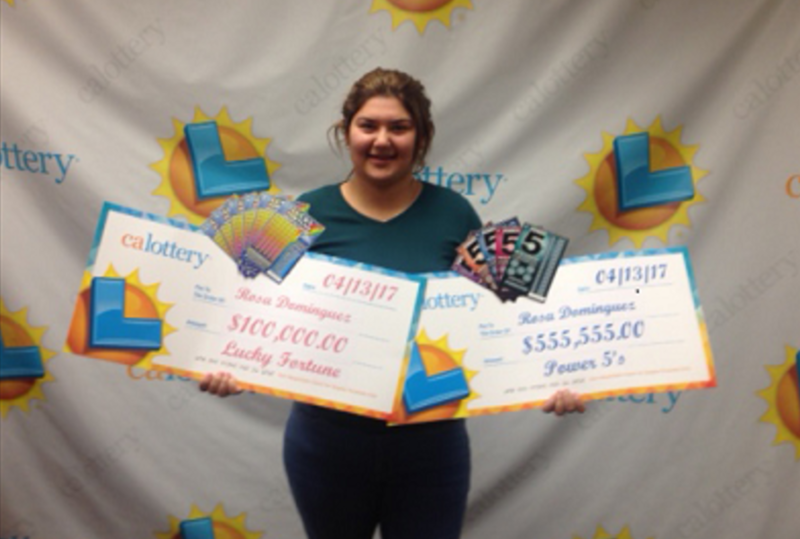 On her very first ticket, the lucky teen won the top prize of $555,555. "I was so nervous I just wanted to cry," she told officials from the California State Lottery. Riding the natural high of a person who just won more than half a million a dollars, the teen stopped at a Valero gas station in Monterey County a few days later and purchased a $5 Lucky Fortune Scratcher ticket, according to ABC News. Unbelievably, that ticket turned out to be worth $100,000, bringing Dominguez's winnings to a grand total of $655,555. So, how does lady luck plan to spend her small fortune? According to the California State Lottery, Dominguez plans on going shopping and buying herself a new car.